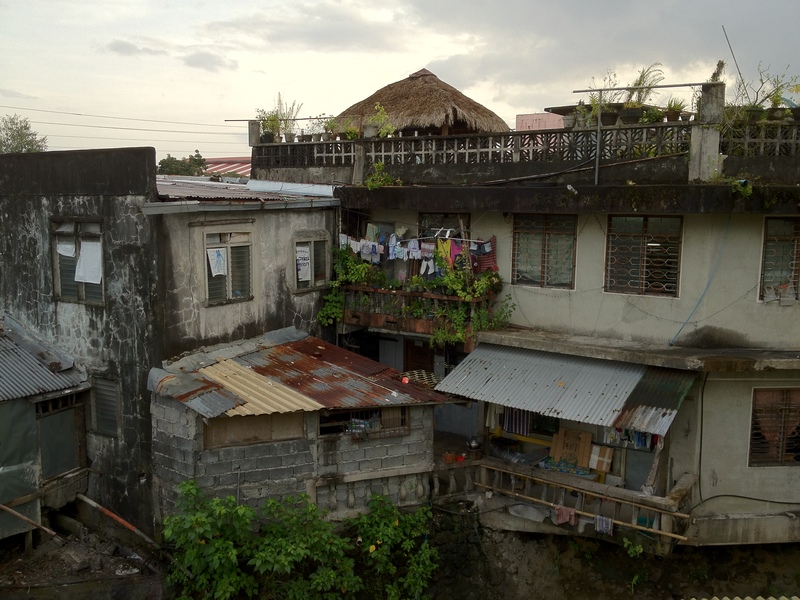 We arrived in Legaspi on Saturday morning, and settled in to a small apartment on site at BCCL. Gregg Evans showed me around the city, as he is an experienced driver, and the school has a car. So on this day, I experienced the local mall (where we purchased food and supplies for our stay), the upscale Embarcadero (a waterfront tourist attraction that seems too ambitious for this area), and the traffic (the main means of transportation seem to be modified low cc motorcycles with questionable sheet metal and tubing sidecars attached. With up to 6 people on one, it looks like a wild ride!). The local economy is pretty stagnant, and the average person here makes very little money. Gregg informed me that many workers and field hands might make only 100-200 pesos per day (three to five dollars US). There is definitely a social hierarchy here, with the rich, the very rich, and the very poor, with only a small percentage in between. Gregg mentioned to me that one of the signs of improvement in a third world economy is the growth of a middle class. There is little of that here. 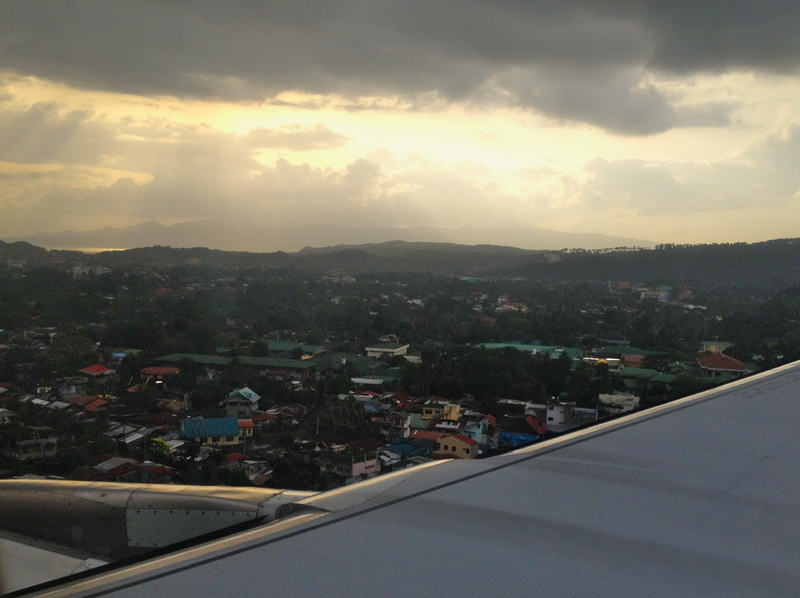 My first impression of the urban town of Legaspi is that it is not unsimilar to Mexico or South America (outside of the resort areas). The facilities at BCCL could be considered spartan by our standards, but impressive given what they’ve built over the last ten years. A large room functions as both classroom for BCCL and worship sanctuary for a number of ministries. They offer clerical help to other churches during the week, and have a relatively large Christian library as well. I already sat and observed a college group worship team that was playing a mix of current worship songs. On Sunday morning, we visited Ligao City Bible Community, a barrio church led by Rufus and his wife Mirasol. Rufus is a good friend of Gregg, one of his first partners in church planting, and Mirasol is a local school teacher. (Some of you old Oak Hillians might remember Rufus from the “Pray for Rufus” bumper stickers we had about 15 years ago.) Together, they faithfully lead this small congregation of mostly young people. I was asked to share music with them, and shared a handful of songs during their service. Funny that I found myself worshiping with them and picturing Oak Hills worshiping at the same time—half a world away, but worshiping the same God. I will be visiting another church this evening which meets at the BCCL main facilities. I’m grateful for your contributions that allowed me to purchase a portable but quality keyboard for this trip (sounds great and runs on batteries!). My task now is to do final preparations for the class tomorrow night. I’ve discussed my curriculum with Gregg Evans, and am more settled on how I will approach this first day of studies. Fun facts: Whereas in Manila, where you would find a Starbucks next to a Seattle’s Best next to a doughnut shop, here in Legaspi, we are enjoying instant coffee with no cream (the dairy section of the grocery store did not stock milk, cream, or sour cream—only yogurt and eggs). I’ll never complain about Pastor Kent’s coffee ever again. 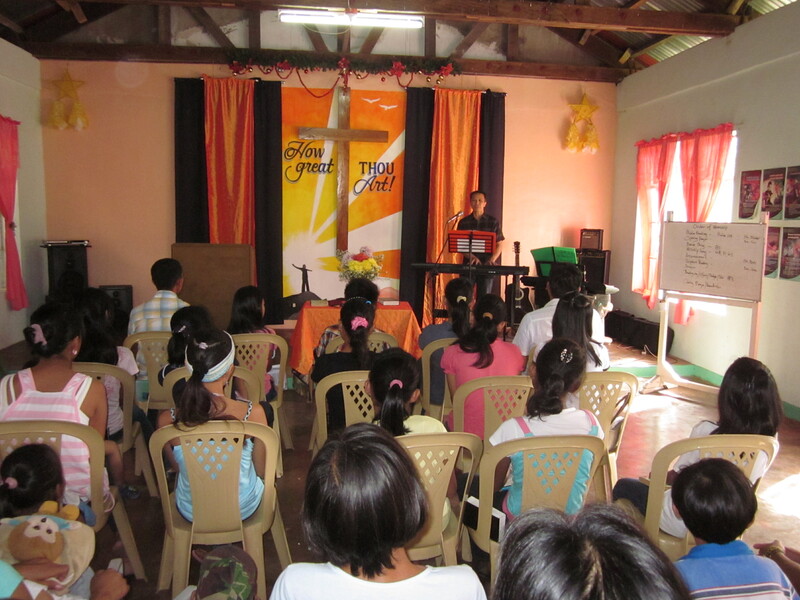 Posted in Blog, church, Imagine That, missions, Philippines, worship, worship leaderTagged BCCL, Philippines, worshipBookmark the permalink. I thought it was Justin! 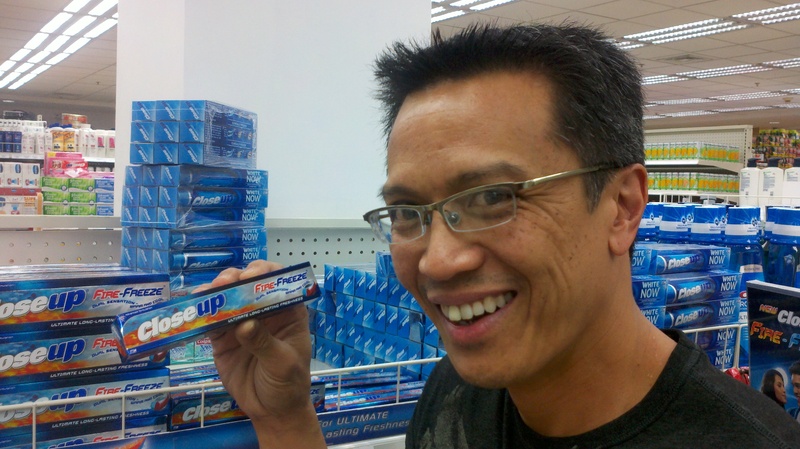 (From Dave) I got the toothpaste connection without an explanation. Too funny!